Watch the pretty chess combination played by the 12th women’s world chess champion and Chess Queen™ Alexandra Kosteniuk against French champion Romain Edouard at the Geneva Chess Masters. The game and combination are presented by Almira Skripchenko using the Chess King 3 Pro Chess Software. Can you see what White played? 12th Women’s World Chess Champion and Chess Queen Alexandra Kosteniuk wins this game against Mariya Muzychuk, at the 2010 Women’s World Blitz Championship in Moscow, Russia. Enjoy. 12th Women’s World Chess Champion and Chess Queen Alexandra Kosteniuk wins this chess game against Antoaneta Stefanova, at the 2010 Women’s World Blitz Championship in Moscow, Russia. Why Russia’s Chess Queen Trains with Chess King? Do you know that the 12th Women’s World Chess Champion, Chess Queen Alexandra Kosteniuk trains with Chess King? She recently not only won the Chess Olympiad gold as a member of the Russian women’s team, but also the individual gold for her 2639 performance on the third board (7.5/9, 6 wins and 3 draws, no losses). 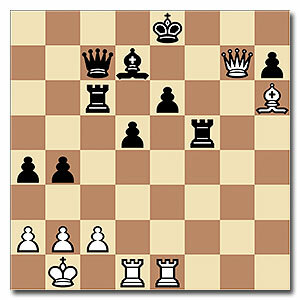 You can read all about this solid chess performance at the Chess Queen blog. Here is the Chess King video on how to use Chess King. 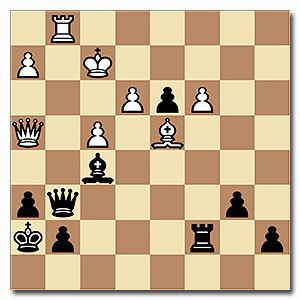 Master Chess Game Video (Easy Puzzle): Can Black Stop the f2 Pawn from Promoting? This is the endgame position from the game between 12th Women’s World Chess Champion and Chess Queen Alexandra Kosteniuk against Valentina Gunina at the 2010 Women’s World Blitz Championship in Moscow, Russia. What do you think happened? Was it a draw? Sit back for a master chess class. 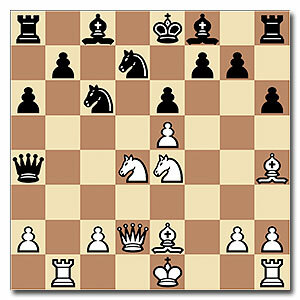 Get an insight into how a world chess champion thinks with analysis of this blitz game Alexandra Kosteniuk against Judith Polgar from the 2009 World Blitz Chess Championship. 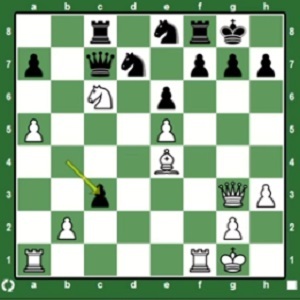 A short sample from the Chess Blitz Fever DVD by Chess Queen Kosteniuk that you can pick up at www.chesskingtraining.com. 12th Women’s World Chess Champion and Chess Queen™ Alexandra Kosteniuk comments her chess blitz game against 13th Women’s World Chess Champion Hou Yifan at the 2012 Sport Accord World Mind Games in Beijing. The game is a sharp Sicilian Defence, Scheveningen Variation. Alexandra is better prepared, attacks the black king, sacrifices 2 pieces, and forces black to resign already on the 26th move. The game is presented with the chess software Chess King. One of the best ways to learn chess is to understand exactly what a chess Grandmaster thinks! We’ve got you one better – A free chess video class with the 12th Women’s World Chess Champion. The second game of the “Match des Championnes” between French Women’s Champion Sophie Milliet and Women World Chess Champion Alexandra Kosteniuk, played in Porto-Vecchio, Corsica, in 2009. Alexandra comments the rapid game in great detail and in English. Alexandra won the match 2 – 0. Watching master chess games is not only fun, but a great way to improve at chess. Check out this exciting speed chess game between two power girls of chess. 12th Women’s World Chess Champion and Chess Queen Alexandra Kosteniuk wins this game against U.S.A. Women’s Chess Champion Irina Krush, at the 2010 Women’s World Blitz Championship in Moscow, Russia. Incidentally, Krush won the 2013 U.S. Women’s Chess Championship and begins defending her crown in Saint Louis today. Read the U.S. Chess Championships 2014 report at Chess Blog. One of the best ways to improve your chess is to learn from Grandmasters commenting on their games. Chess Queen Alexandra Kosteniuk – the 12th Women’s World Chess Champion – has put up online hundreds of commented game videos, podcasts, puzzles, etc. all for free! Here is a neat video in which GM Alexandra Kosteniuk comments her first game of the semi-final of the 2005 Golden Blitz Tournament Kosteniuk – Zhu Chen. Don’t miss the beautiful setting of the game! Two strong Grandmasters, two Russian champions, two blitz specialists, and two friends… – here’s a chess game video to watch for sure. 12th Women’s World Chess Champion and Chess Queen Alexandra Kosteniuk wins this game against Valentina Gunina, at the 2010 Women’s World Blitz Championship in Moscow, Russia. 12th Women’s World Chess Champion and Chess Queen™ Alexandra Kosteniuk shows her very aggressive chess game against Swaminathan Soumya from the 2012 Istanbul Chess Olympiads. This game allowed the Russian team to win their match against India 3-1. The Russian women went on to win Gold at the 2012 Chess Olympiads. Chess Queen™ Alexandra Kosteniuk also won bronze on her board. The video was recorded thanks to the software Chess King. Pick your own copy of Chess King in the Chess King shop. Are you looking for chess analysis by a World Chess Champion? Here’s your chess treat for the weekend. The 12th Women’s World Chess Champion Alexandra Kosteniuk takes on the 13th Women’s World Chess Champion Hou Yifan, in Beijing, at the Sport Accord Mind Sports Games, 2012. 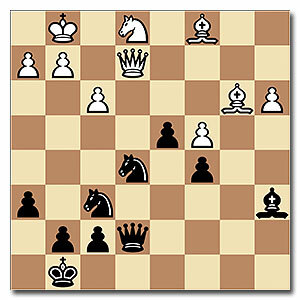 The game is a complicated Sicilian Defence, Scheveningen variation, with a fantastic attack. Sit back and watch the full analysis of the game. 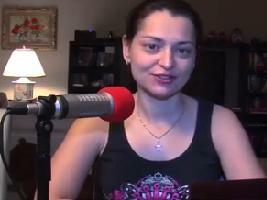 GM Alexandra Kosteniuk uses the software ‘Chess King’ in the video. Pick up your own copy of Chess King – now with Houdini 4 – at the Chess King shop. Also read the original post at Chess Queen Alexandra Kosteniuk’s personal chess blog www.chessqueen.com. 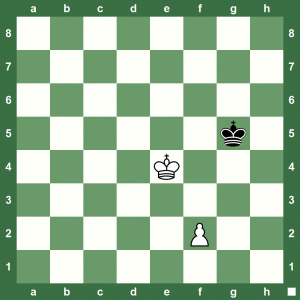 This is a simple chess puzzle you can try as you enjoy your Sunday. The answer is in the video podcast below. 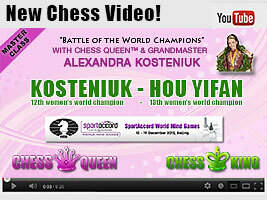 The chess show is hosted by 12th Women’s World Chess Champion ChessQueen™ Alexandra Kosteniuk and comes from the #1 database of free chess podcasts www.chesskillertips.com. From the game Kosteniuk – Gaeva, Verdun 1995. 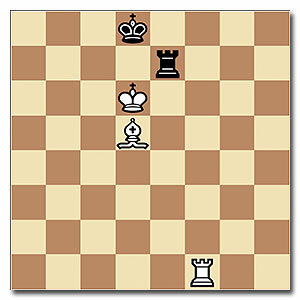 From the game Radjabov – Anand of the 2006 Blitz World Championship, white wins in the Poisoned Pawn Sicilian Defence.